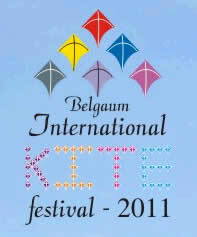 An International Kite Festival will be organised for the first time in Belgaum (Karnataka, India)on 16th and 17th January 2011. Various teams across the country as also those of foreigners will be participating in the two-days festival. Interestingly, Flyers will fly the Kites at night as well near Kote Kere, at Belgaum Fort, which is a first of its kind experiment in the entire country. Flying kites attached with lamps / lights during the night on 16th will be the Star Attraction of this unique festival. Great idea, to light up the night sky! Hope it goes well, this first time and in following years. Perhaps come back here after the event and post a spectacular night shot or 2?